That’s how I feel this day walking past the bowling alley in the 2002 way back machine. Seeing what I can see on a hot day by a certain San Marcos landmark. The Via Vera Cruz wood pile. It’s around 2 p.m. on Via Vera Cruz near Discovery Street. The natives are getting restless. I can feel them out of the sides of my eyes. They are waiting for their weekly wood. Free wood for all. I watch from across the street as the mad afternoon dash begins in earnest. The wood pile. A San Marcos tradition. In its various stages of small wood blocks piled high to even smaller wood blocks eventually laid low, the wood pile has been a Via Vera Cruz thing to do dating back to 1999 or so. You know, before the millennium. What is this exactly? Civic treasure? Eyesore? Something similar to crop circles that mysteriously appear and disappear in the fog of space and time? I had seen this strange ritual too many times each week not to wonder. Free wood on the side of the road. The mid-afternoon wood rush. So I sought out the wood people. Surely, they knew. I went to what seemed to be the source. Just east of the pile off Via Vera Cruz. Escondido Roof Truss Co., Inc.
Now that place has got a lotta lotta wood. And it’s location: coincidence? I think not. Escondido Roof Truss Co., Inc, RIP 2011. 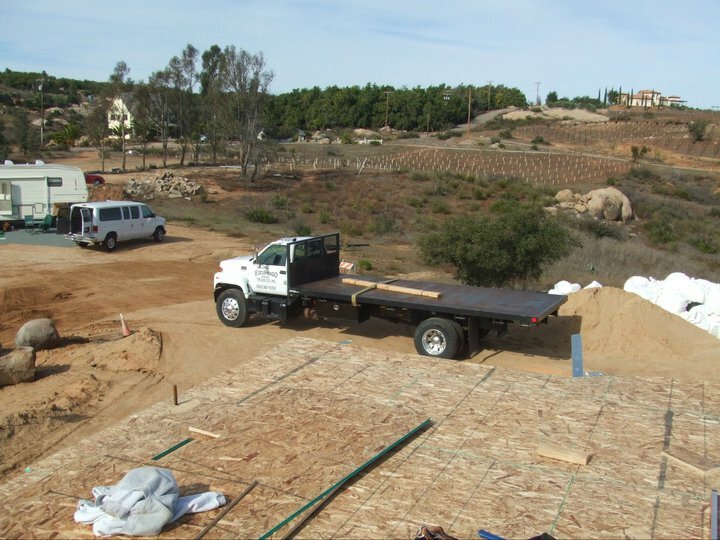 Escondido Truss has been in-wood-we-trust for pre-fabricated roofs, arches, beams, framing systems, joists, and trusses of all sorts for who knows how long. I would tell you more but their Web site is — appropriately enough — under construction. But a quick investigation found that sure enough, “The Wood Pile-San Marcos” came courtesy of Escondido Truss. A public service of sorts in their eyes. 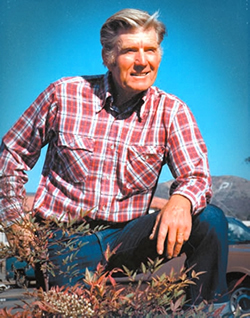 And, as with a lot of institutions in this city, Jim Eubank of Restaurant Row and development fame was the man behind the wood pile. Hey, it’s a hard knock life at the roof truss assembly company. Its large industrial workspace is a veritable homage to wood piles of all sizes with wood stacked and hacked everywhere along with workmen building roof trusses. It’s mostly Douglas fir, by the way, for those hardwood aficionados. Therefore, around 2 p.m., three days a week, Escondido Truss workers take the small leftover wood pieces from their big roof frame-making to the Via Vera Cruz wood pile. The rest is fireplace-burning and small woodworking-project history. He’s right, of course. Unlike the wood pile in Frost’s “The Wood Pile,” that sits unused by a frozen pond, this wood gets snapped up like it’s going out of style. To warm the fireplaces and hearts and homes of San Marcos.